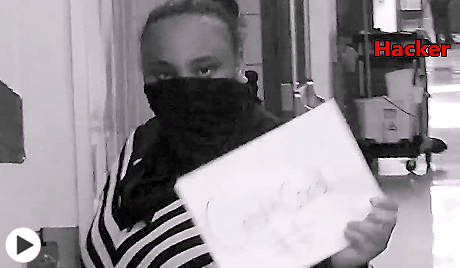 Students from P-TECH Rochester won the grand prize for their video about cybersecurity. 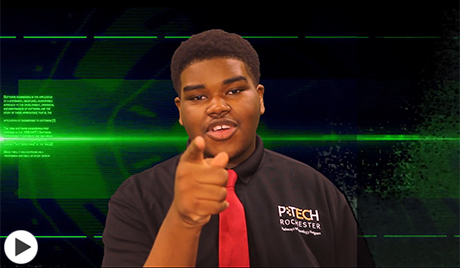 Leading the Way: A Greater Rochester Workforce Development Video Campaign challenges teams of high school students from local P-TECH schools to create 30-second videos to serve as public service announcements detailing skills required to work in industries that are currently hiring. Grand Prize Winner: "Cyber Security"
Runner Up: "Cybersecurity - Teamwork and Dependability"
The awards ceremony took place on Wednesday, December 13, 2017 from 6:00pm-7:30pm in the High Falls Ballroom, Monroe Community College-Downtown Campus. Three videos from each of the three participating P-TECH Schools advanced to the finals for a total of 9 finalists. The Grand Prize was selected from these finalists. Please check back in early 2018 to view pictures from the awards ceremony.